Chillax is a 3-bedroom holiday home boasting a large backyard, spacious living area and a verandah. The lounge overlooks the 13th hole of the Lakes Entrance golf course. Guests staying in this 3 bedroom holiday home can prepare a meal in the fully appointed kitchen. The master bedroom has an en suite bathroom with a walk-in shower. There is reverse-cycle air-conditioning, a wood heater and 2 portable fans. 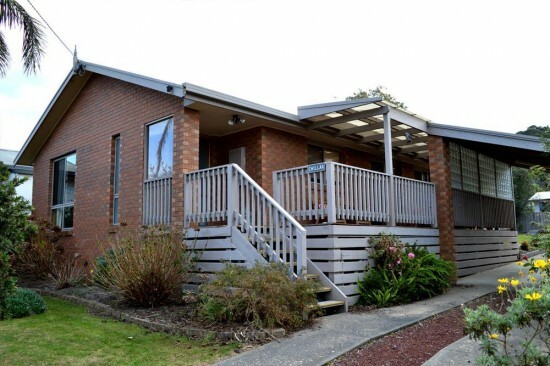 Set in Lakes Entrance in the Victoria Region, this holiday home is 35 km from Bairnsdale. The unit is 15 km from Metung. Paynesville is 27 km from Chillax, while Orbost is 42 km from the property.